We just got back from KL last Monday and although the trip ended with quite an adrenaline rush of having to sprint to the boarding gate which was far, far away with two kids in tow, I would still say it was the best trip ever. WE GOT UPGRADED NOT ONCE, NOT TWICE, BUT THRICE! Yup, you read it right. We got upgraded three times and that is what I say a very lucky trip indeed! 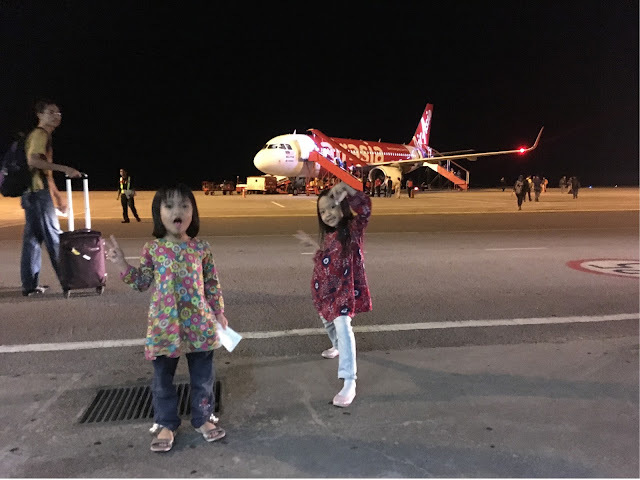 Being a budget-conscious mom, when I decided to bring my kids for a short vacation to KL (as a reward for doing so well in their exams), I booked AirAsia's tickets on promo fare with no frills whatsoever. I figured out if we didn't manage to catch a meal at the airport, then we will buy food on board. As usual, I didn't even pay to have us four seated together, knowing that the kids will get to be seated with one or both of us. Imagine my surprise that upon checking in, Khadeeja and I were assigned to hot seat numbers which were in the second row on board! To make it even sweeter, the nice elderly lady sitting next to me insisted that I take her pre-ordered meal because she had her dinner before boarding. A hot seat and free meal, guys! Off to a lucky start! Our luck continued when we checked in to Le Apple Boutique Hotel just opposite Avenue K and next to Corus Hotel. Upon hearing that we were first-time guests, the staff offered to upgrade us to superior room even though we only booked deluxe room, again at no additional cost. I thought that was the end of such luck when we checked out from Le Apple to check in to yet another hotel (yes, we were hotel-hopping throughout the trip!). Boy, was I wrong? 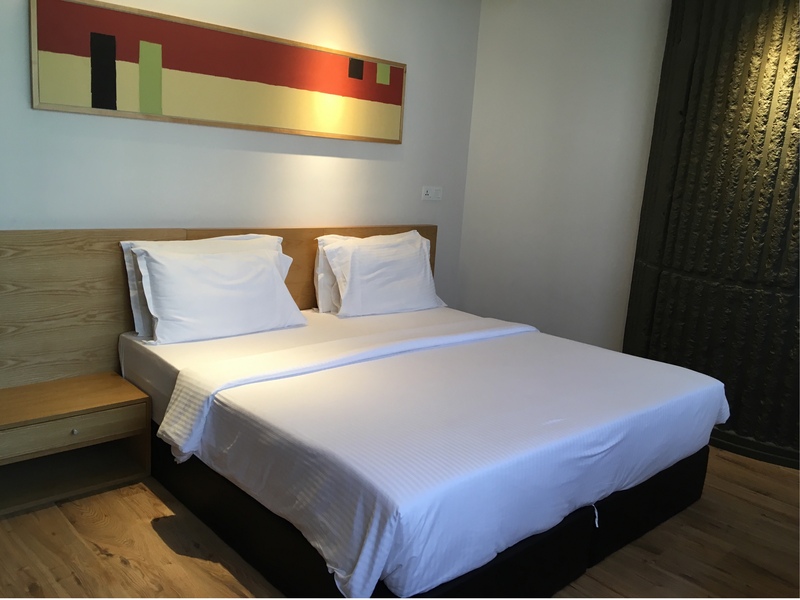 We decided to stay at Le Meridien Putrajaya, and booked the standard deluxe room at SPG website to get their best rate. Although I planned to check in by 8pm (so we could go window shopping at the adjacent mall), we took longer than planned time touring Zoo Negara and later, Bukit Bintang area that we only reached hotel at 10pm. The reception staff who attended to us told me that the room we requested were already full, but being an SPG member, she informed that she will give us a free upgrade. Guess what? This time, we were upgraded to a suite! Woohoo! It was certainly the cherry on top of our very lucky trip this time. Imagine, a suite which is double the price that I paid! Phew, it certainly pays off to sign up as SPG member knowing that you could get upgraded at any time when you stay at their hotels. As you can see, we did quite extensive hotel hopping this trip, so stay tuned to my review of the hotels. 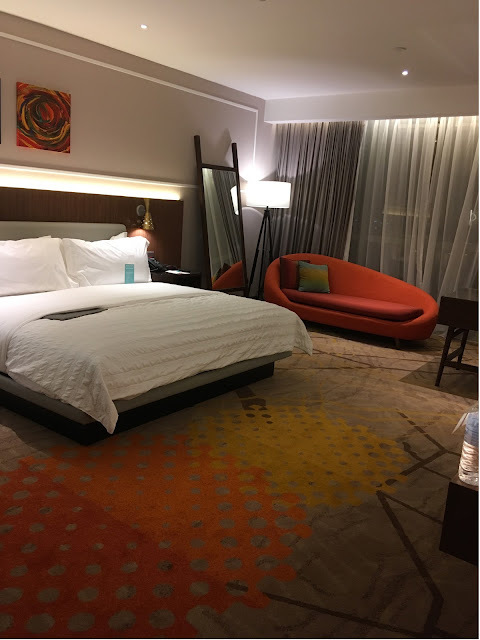 From budget-less-than-RM150 hotel, to five-star suite, it was certainly a very exciting (and lucky!) trip indeed for us!